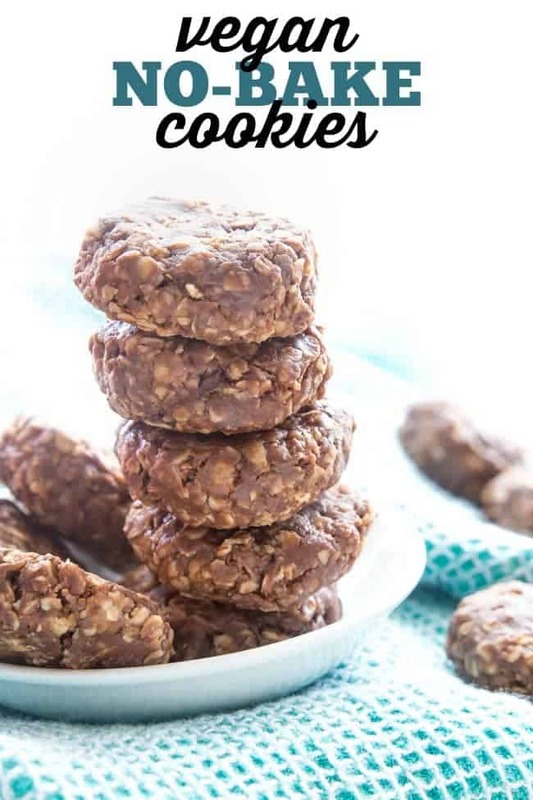 Just like the classic no-bake cookies you grew up with, except these are made with less sugar and are totally healthy! I can specifically remember making no-bake cookies with my siblings growing up. We didn’t bake a whole lot, but when the hankering for something sweet came upon us, we did our best to fulfill those desires. Not gonna lie though – most of the time that came in the form of fruit snacks and little debbie snack cakes. But sometimes it would result in us actually making something. Notice that I didn’t say BAKING something. Because although, yes, we could follow a simple recipe that turned into a freshly baked cookie right out of the oven, simple fact is that we were probably too lazy for that. 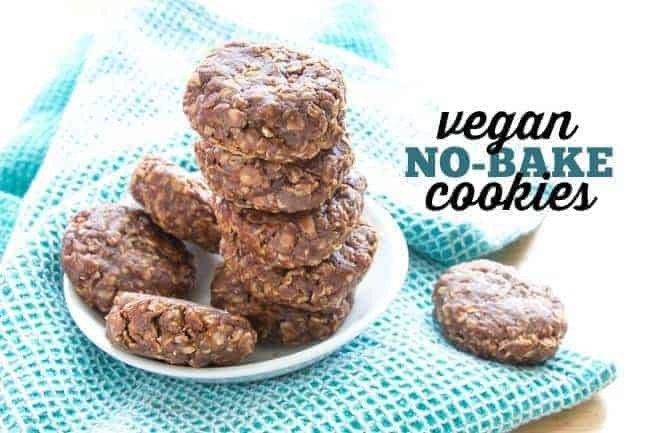 So when we found that there was a way to create a cookie that didn’t require turning on the oven or a whole lot of science, we were all on it! 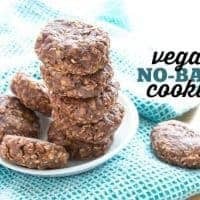 Plus, there was the added benefit that no-bake cookies took no time at all and we’d be able to eat them way sooner than something we’d have to bake. As I’ve gotten older, there are some things that haven’t changed about my core personality. One of those things is that I am still pretty lazy. Secondly, I still love a good cookie. But one thing that has changed is that I have become a bit of a health nut. So take that need for a good cookie + the laziness + the health nut factor, and you’ve got today’s recipe. 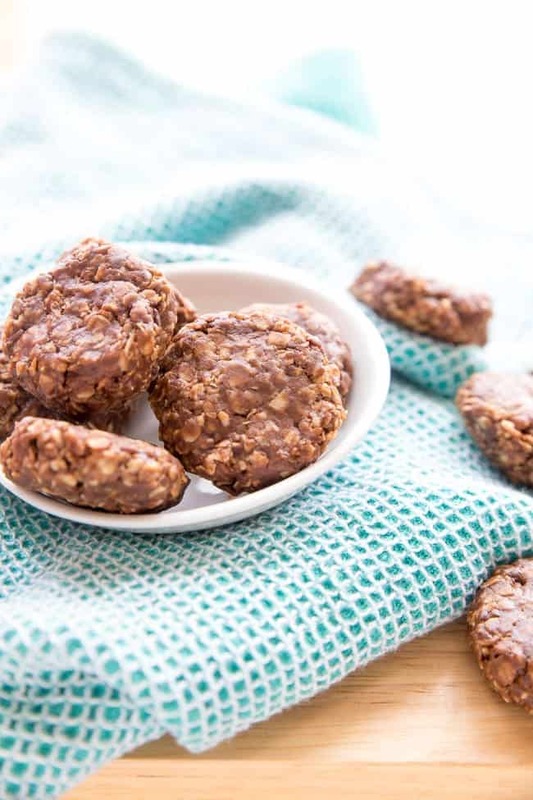 A classic no-bake cookie from all of our childhood kitchens with a bit of a healthy twist. No dairy. No refined sugar. Natural peanut butter. Yet, it still tastes delicious! 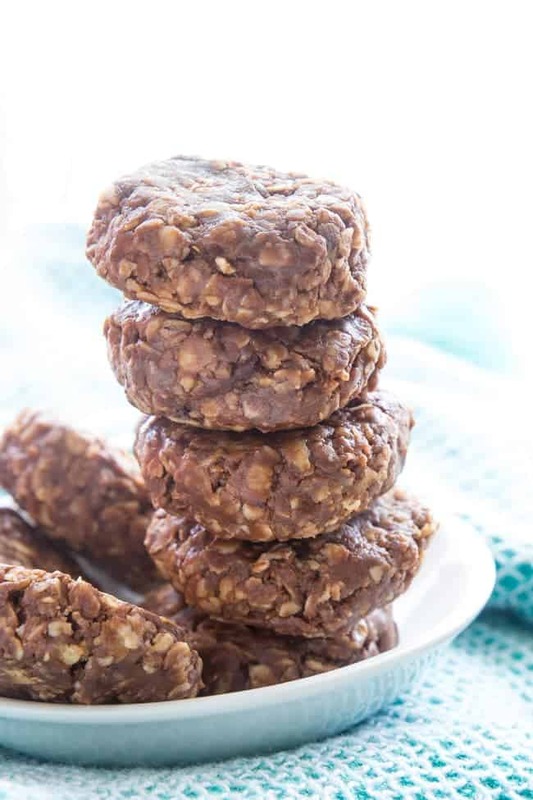 Classic no-bake cookies with a healthy twist! In a small saucepan, melt the peanut butter, agave, and coconut oil until just melted. Remove from heat and add in remaining ingredients, ensuring to combine everything completely. Once combined, roll tablespoon-size balls of dough onto a parchment paper-lined tray or baking sheet. Place in refrigerator for at least 30 minutes or until cool. Place in an air-tight bag or container and store in refrigerator for up to 2 weeks.